I expected something terrible from director Courtney Solomon (‘Dungeons & Dragons’), but nothing this bad. 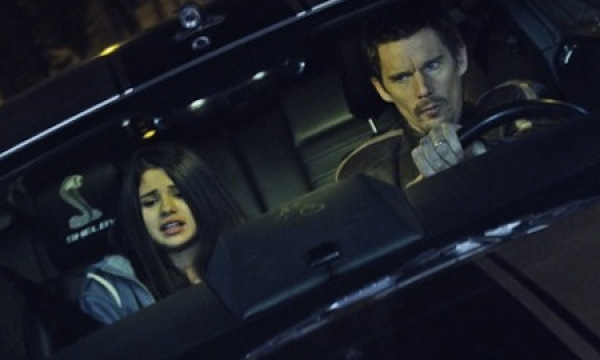 ‘Getaway’ doesn’t make the least bit of sense during its 90-minute runtime. You’d think that fast cars crashing into each other and destroying everything in their path would garner some thrills. Sadly, I was left bored beyond belief and laughing at this poor excuse for a movie. CLICK HERE FOR MY FULL REVIEW OF ‘GETAWAY’!!! If you enjoy watching close-ups of Jon Voight’s mouth eating and drinking for 90 minutes, you might enjoy this ride. Otherwise, this film crashes and burns quickly. This entry was posted on Friday, August 30th, 2013 at 8:58 am	and is filed under Film, News. You can follow any responses to this entry through the RSS 2.0 feed. You can skip to the end and leave a response. Pinging is currently not allowed.